Posted on April 12, 2018 by Ryan D.
It’s easier than ever to show your true Mass Audubon colors! 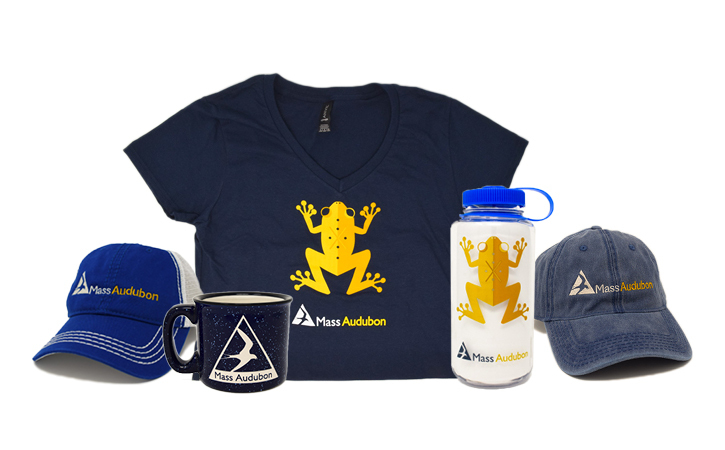 We’ve added all kinds of fun, new gear to our branded collection, including T-shirts, hats, drinkware, and more. Below are five of our favorite items or you can check out the entire collection. 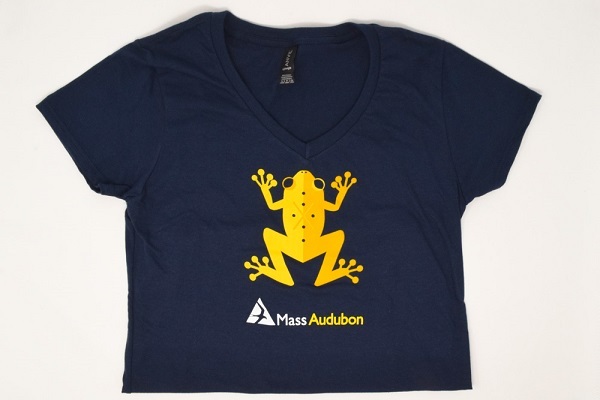 And remember, every purchase from the Mass Audubon Shop goes directly to support our mission of protecting the nature and wildlife of Massachusetts. 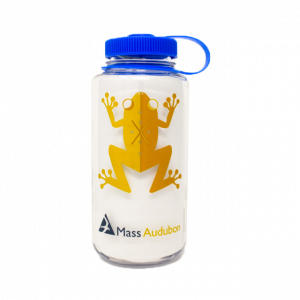 Keep hydrated and reduce your carbon footprint with Mass Audubon’s Spring Peeper reusable water bottle. This authentic Nalgene bottle is made from BPA-free plastic and features a peeper frog graphic—perfect for springtime adventure, or any season for that matter! 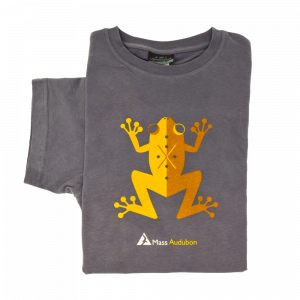 Wear your nature hero heart on your figurative sleeve with the new Mass Audubon T-shirt, featuring the same peeper frog graphic as the 32-oz Nalgene. 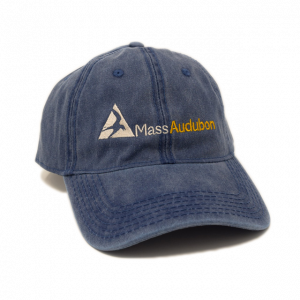 Made of 100% cotton denim with an adjustable strap, this classic, comfy cap fits just right. 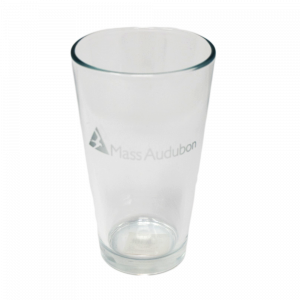 Toast the beauty of nature with this 16-oz glass, tastefully etched with the Mass Audubon logo. Dishwasher and microwave safe. The perfect gift for the die-hard birder, this adjustable harness is designed to use your shoulders instead of your neck to support the weight of the binoculars. *All prices listed are before application of the 10% Mass Audubon member discount. 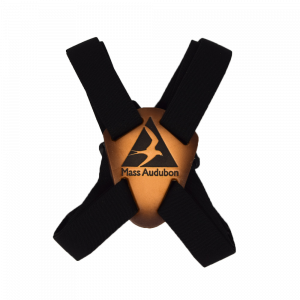 This entry was posted in Shop, Stuff We Love and tagged audubon shop, hats, shop, t-shirts on April 12, 2018 by Ryan D..